In your perfect world, nothing is second best; so in your perfect home, only Symbiant will do. We are the new standard for fully integrated estate automation. User adjustable, feature rich, with an unparalleled level of performance. Don't settle for anything lest than the best. If you don't have Symbiant, you don't have control. The Symbiant Estate System follows your schedule, from morning to night, and everything from the window shades to the temperature of your room reflects it. Comfort and convenience, privacy, and energy savings are yours, without having to lift a finger. Before you get home from work, your pool and hot tub are already preparing for your arrival. The perfect temperature, lighting and music are ready to be enjoyed the moment you walk in the door. And when it's time for guests, your outdoor living space becomes a seamless extension of your home, providing limitless outside-entertainment freedom. Music, movies and DVR recordings are all connected, invisibly; and every show, movie, and song is available in every room, all at once. Symbiant MediaSync brings you total control, and endless possibilities. With Symbiant, no matter where life takes you, you'll never miss a moment. The future is clean, clear and clutter free. The future is here, in the Symbiant Estate System Control Room. Engineered to be as beautiful as it is effective, our systems are designed to provide you with the most advanced estate automation system in the world. 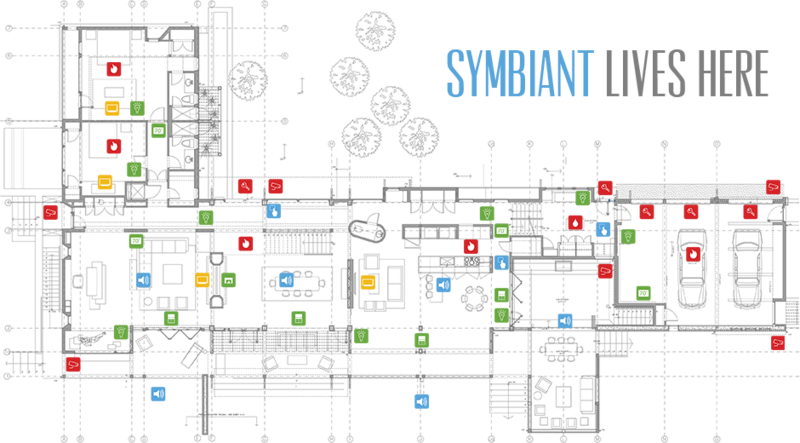 Control your world with Symbiant. Symbiant VTC (Versatile Text Control) makes it possible for you to control your home automation system more quickly and easily than ever before. No accessing apps or navigating through menus. Simply tell it what you want it to do, and it does it. Symbiant VTC enables you to open your garage, unlock your front door, disarm your security system and turn on your house lights, all by simply using your voice. And that's just the beginning. Copyright © 2019 Bri-Tech. All Rights Reserved.